Accessed from the main airport terminal via a private lift or staircase, the multi-purpose Wirraway Business Centre’s contemporary fit out, state of the art facilities, seamless use of technology and unique location provides many advantages for international and domestic travelling professionals as well as national and local based businesses. The Wirraway Business Centre is a highly functional purpose-built space catering for both short and long-term business needs, as well as large and small groups, including the sole business person. It has a 75-seat function room (theatre style), a 25-seat conference room, two six-seat meeting rooms, two twin-seat hot desks and three one-seat hot desks. It also houses a reception area, high-end kitchen facilities, contemporary quality bathrooms and seven permanent office spaces of between 30 to 68 square metres for long and short-term leases. Its central location in Darwin – with most of the population, living or working within five kilometres – makes it accessible, convenient and attractive with services including car parking, retail, restaurants and cafes within easy reach. The fully licensed Wirraway Business Centre also offers customised catering for functions, meetings and events with a range of packages to suit small groups to large. Located adjacent to the Catalina Lounge (DIA’s international VIP lounge) the flexible space also allows the two facilities to be seamlessly integrated, further increasing capacity and the range of facilities on offer. There’s no end to the type of function that could be held at the centre; from informal to formal, from small groups to large. For the aviation aficionado, even a wedding could be catered for. We have an experienced on-site catering partner who can cater for any style of meeting or function. External catering is not permitted. We have convenient parking options available and we can negotiate car parking prices as part of the meeting/event package. Can we bring our own AV equipment? Please talk to us about your AV requirements and we will make arrangement with our preferred providers. We do not allow external AV equipment in the business centre. We have state-of-the-art equipment for telephone and video-conferencing. We use a cloud based network that links to different collaborative channels. We are open during business hours from Monday to Friday. If your event is outside these hours, please contact us to discuss your request. The Wirraway Business Centre is located at the west end of Darwin International Airport. We are strategically situated inside the terminal building. You may access via private lift or staircase. We can create a customised package based on your event requirements. It may include car parking, catering, car rental or event tours. Please speak to us to discuss your requirements. Do you have wheelchair accessibility in the centre? The business centre is wheelchair accessible and disabled guest-friendly. This stylish and functional space features a spacious desk, comfortable seat and a door to secure your valuables. Equipped with all your photocopying, scanning and printing needs as well as high-speed internet connectivity through either Ethernet or Wifi, you can convert this space to your personal work desk with privacy and security. Hungry or need a boost from your favourite hot beverage? Why not leave your items and lock your hot desk with the provided key, then take a relaxing walk to one of our 6 on site cafes and restaurants. This stylish and functional space features a spacious desk, comfortable seat and a door to secure your valuables. 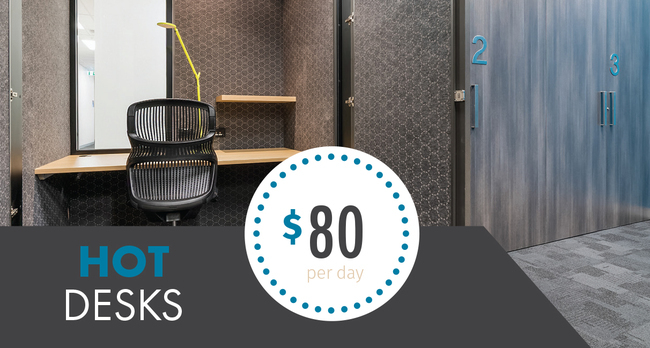 Equipped with all your photocopying, scanning and printing needs as well as high-speed internet connectivity through either Ethernet or Wifi, you can convert this space to your personal work desk with privacy and security. Hungry or need a boost from your favourite hot beverage? Why not leave your items and lock your hot desk with the provided key, then take a relaxing walk to one of our 6 on site cafe's and restaurants. The Livingstone room is a multi-purpose day office which can be your very own personal office whilst in town during a business trip, just a tranquil space to complete some important work or perhaps you need an impressive space to conduct a recruitment interview. Impress your guests while they wait for you in our beautifully appointed reception foyer with its contemporary modern design. Spacious enough for business colleagues or clients to hold an informal meeting or simply an office to share at the airport. Photocopying, scanning and printing services plus complimentary high-speed internet (Ethernet and Wi-Fi) are provided. You also have access to our excellent break out kitchenette area or any of our diverse six on site restaurants and cafes. The McDonald room is a multi-purpose day office which can be your very own personal office whilst in town during a business trip, just a tranquil space to complete some important work or perhaps you need an impressive space to conduct a recruitment interview. Impress your guests while they wait for you in our beautifully appointed reception foyer with its contemporary modern design. Spacious enough for business colleagues or clients to hold an informal meeting or simply an office to share at the airport. Photocopying, scanning and printing services plus complimentary high-speed internet (Ethernet and Wi-Fi) are provided. You also have access to our excellent break out kitchenette area or any of our diverse six on site restaurants and cafes. This meeting room is the best option for a team or group meeting. It comfortably seats up to 6 people to host your weekly meetings or interviews. It has a complimentary 55 inch high definition built-in screen with in table connections, glass board and markers, power points and high-speed internet (Ethernet and Wi-Fi. Photocopying, scanning and printing services are also available. You also have access to our excellent break out kitchenette area or any of our six diverse on site restaurants and cafes. Or if you prefer, we have an excellent selection of food & beverage options which can either be served to you in the room or in one of our break areas. With its modern-style and bright atmosphere, Tindal is the perfect venue to host your boardroom or large meeting. In addition to the impressive 26 person boardroom table are two 75 inch high definition screens for presentations and displays. We also have touch screen cutting-edge technology for telephone and videoconferencing. Our cloud based virtual meeting room opens up to multiple different collaborative channels, ensuring your easy connectivity to the world. With an in-room kitchenette offering complimentary continuous coffee and tea, you can conduct your meeting in privacy and comfort. The room also has multiple power points for laptops and other devices, in table connectivity to screens and complimentary internet through Ethernet and Wifi. Our comprehensive on site catering can also meet your every requirement, from morning tea right through to chef prepared luncheons and dinner. This well-appointed Conference, Meeting and Function Room boasts an impressive view of the airport apron, neatly linking the business centre with our aviation heritage. This venue is ideal for symposia, conference, meeting, workshop and training events. It has a built in 90inch high definition screen for presentations and displays, ensuring a crystal clear picture in any light. The room can be set out in a multitude of layouts to meet your event requirements. Also available are a variety of optional extras to enhance your event, from mobile interactive screens, lecterns and stage as well as a range of furniture, our experienced event coordination team can make your vision a reality. Our comprehensive on site catering can also meet your every requirement, from morning tea right through to chef prepared luncheons and dinner. For that next level experience, why not combine your event with an pre-event or post-event drinks reception in the Catalina Lounge, adjacent to the Hughes Room. Why not hire your very own business lounge? The Catalina Lounge is a unique venue and an Australian first: the original airport owned and operated pay as you go international passenger lounge. In another innovative development, The Wirraway Business Centre is extremely proud to be able to offer this entire facility as part of your event. Perfect for drinks and dinner receptions, The Catalina Lounge is accessible directly from the Wirraway Business Centre and comes complete with luxurious lounge seating, buffet facilites, barista coffee and full bar service. This venue really adds a unique point of difference to your event, and enables you to experience the glamour of international travel without needing to pass through security.